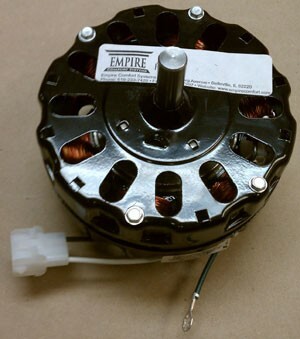 Empire R619 blower motor for models FAW55, and DV55. This is a single speed 2 wire motor. Older FAW60 and DV60 units used a 2-speed 3-wire motor. You can use the R619 motor with older units with a wiring change. However it will only be 1 speed.